** Prices are subject to change for subsequent years. Hunters may lock in current prices if they book a hunt for the following year within 30 days of their departure. PRICES DO NOT INCLUDE DEER PERMIT, HUNTING LICENSE, AND HABITAT STAMP! Call Illinois Department of Natural Resources at 217-782-7305 for more information on fees and deadlines. Archery hunters must call in June to obtain permits and shotgun hunters must call in July to obtain permits. 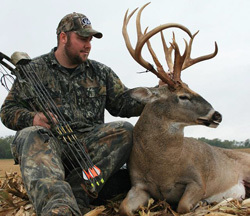 Semi-Guided hunters should arrive one day early. 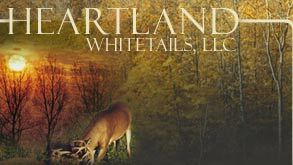 The hunt includes an orientation on properties, current trail camera photo, assist in tree stand location on properties (if needed), discuss current deer activity and movement, assist in game recovery (if available). Game preparation and processing can be provided, if needed, at an additional cost. $500/week Includes hunt & lodging.